APM Terminals, a global network of ports and terminals, has installed the RFID-based ZoneSafe proximity warning system across its global terminal network keep its employees and clients safe. Following an extended trial and the supply of systems, APM Terminals Callao in Peru has deployed the ZoneSafe system to cover blind spots that the human eye cannot see. 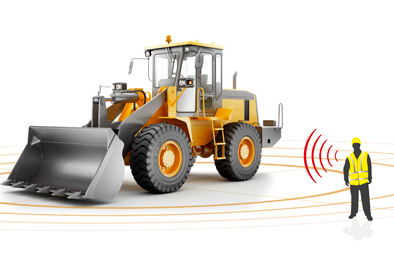 The personnel proximity warning system reduces the risk of collisions by providing an early warning indication to heavy machine operators of personnel present in the vicinity. The ZoneSafe proximity warning system creates an invisible safety zone around almost any type of vehicle or static equipment fitted with a system. It detects ZoneSafe Personal Safety Transponders (ZoneSafe PST) worn by personnel and provides a visual and audible warning to the equipment operator. ZoneSafe logs every event that occurs during operation. Event data – including status reports, alarm events and individual personal safety transponder detections – provide vital data analytics for safety management to identify areas of concern and help develop safer working practices.